The Black Cashmere Overbust Corset features our 3 point fitting system to conform to your bust, waist, and hips while flexible spiral steel boning supports the shape of this stylish corset. A fan favorite, the dark, classic shade pairs well with any color to add an edgy pop of style. Wear it with a classic pencil skirt for a pin-up, office chic look, or pair it with some pedal pushers for an summery vintage feel! 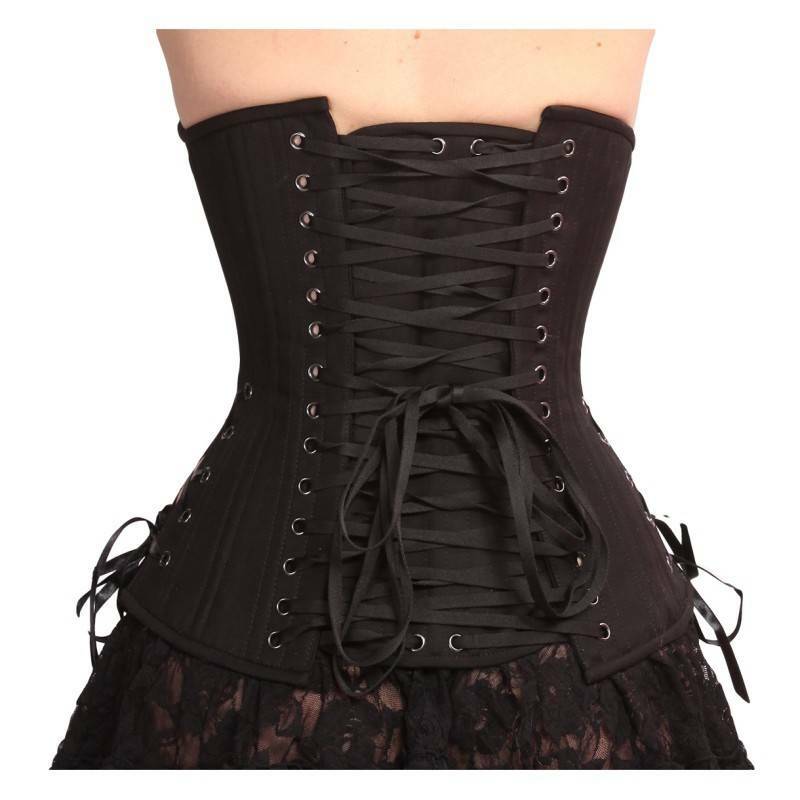 The Black Cashmere Corset makes for an elegant accessory, whether you're looking to purchase a gothic corset, cosplay corset, or simply trying to spice up your style. Comes with a detachable, floating modesty panel suspended on the laces! High-waist latex leggings with through the crotch, front 3-slider zip with curve enhancing design.